Global Maritime Deutschland GmbH is currently providing Marine Warranty Survey Services for three 90km long Windfarm grid connection cables (HVAC 220kV) for the “Cluster Westlich Adlergrund” Windfarms in the Baltic Sea. The scope of work covers the load-out and transport from two different locations. 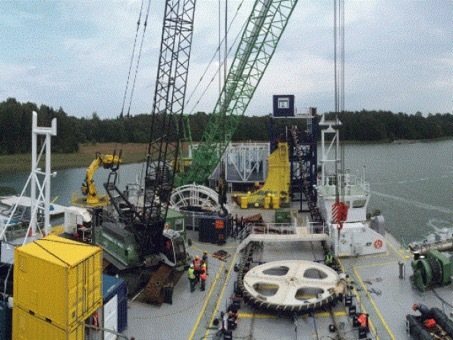 Installation surveillance takes place on barges during beach pull activities and shallow water lay operations as well as on cable ships during laying of cables in deeper waters. The scope further includes witnessing the installation and laydown of inline and omega joints along the cable route as well as monitoring the installation of the land cable section up to the converter station. The cables have a combined length of ~300km, diameter of 270mm and a specific weight in air of 130 kg/m.